by Anirudh Burman and Devendra Damle. Digitisation of textual revenue records (contained in Record of Rights, revenue records are updated through "mutation", and are presumptive proof of the title recorded in the RoR) and registration records (records with the registration department - all agreements pertaining to transfers of land have to be registered, save specified exceptions), including maps. Rajasthan's history presents some interesting challenges to this exercise. The state was originally composed of five main Riyasats (princely states), and several smaller ones. Each of these five Riyasats used different units to measure land. For example, a bigha in one Riyasat was the equivalent of 3000 sq.ft., while in another it was close to 1600 sq.ft. These differences still persist today. 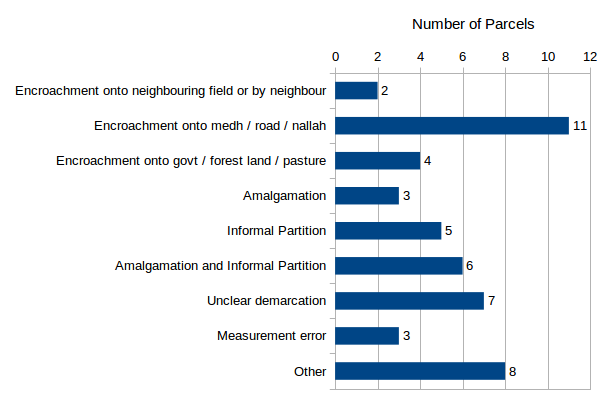 Not only are the units of measurement different, but some of the official terms used in relation to land records also vary across districts. The state government tried to introduce the metric system in 1976, but as per discussions with local officials and villagers, it was rarely used in practice by the local populace who were more comfortable with the old measurement systems. With the DI-LRMP there is a renewed effort to standardise units of measurement across the state. 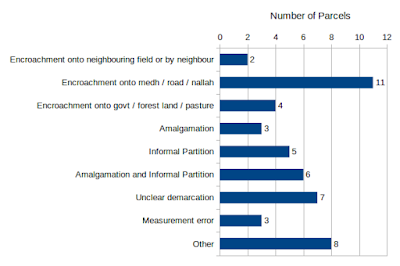 In spite of early movements towards improvements in land records, the level of implementation of DILRMP in Rajasthan remains low. This is highlighted in the findings from our study. The state of Rajasthan has made very little progress on integration of all three processes - mutation, registration and map generation. The process of registration alerts the revenue records database by noting the fact of registration in some form in 15 SROs, but this does not work the other way round, i.e. the process of changes in revenue records does not alert the registration database. An analysis of the findings from the state highlights significant steps required to be taken for the implementation of the DILRMP. This was also confirmed by our study of DILRMP implementation in the two tehsils selected for the study. 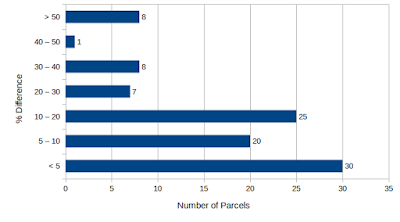 Figure 2: Causes of Difference Between Area on Record vs MeasuredNote: Only shows parcels where the difference is 10 percent or larger. Anirudh Burman and Devendra Damle are reasearchers at National Institute of Public Finance an Policy.